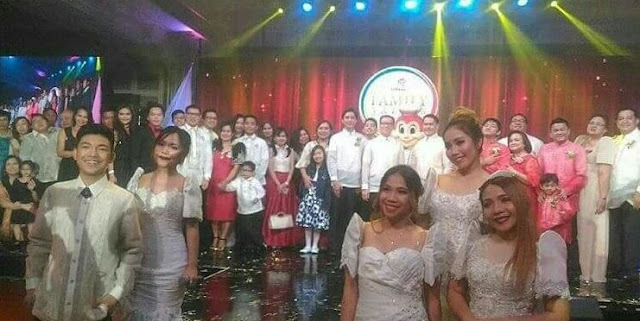 Last October 7, 2016, the country’s leading fast-food brand, Jollibee hailed a new batch of outstanding Filipino families with admirable advocacies in the 6th Jollibee Family Values Awards. 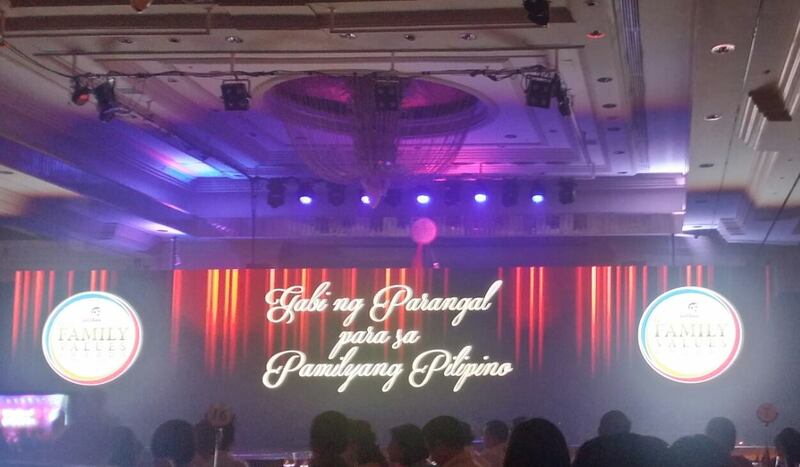 The months-long search culminated in Gabi ng Parangal para sa Pamilyang Pilipino, which was held recently at the Makati Shangri-La Hotel. The 6th Gabi ng Parangal para sa Pamilyang Pilipino centered on the theme of the balangay, whose historical journey captures the solidarity, harmony, determination, courage, bravery and resilience of the Filipino community. This is my first time to watch this prestigious award and it’s quite long but enjoyed watching it. Here you will meet the exemplary Filipino families whose notable advocacies enable hope to flow and spirits to soar for the less fortunate. The 6th JFVA winning families include: Mr. Rommel and Mrs. Analy Basa and family of Capiz, champions of the environment and sustainable livelihood for their community; Mr. Donato and Mrs. Merlita Bumacas and family of Nueva Ecija, dedicated to protecting and upholding the rights of indigenous people; Mr. Ian and Mrs. Cecilia Cabalza and family of Cagayan Valley, whose work centers on uplifting lives through health and education; Mr. Victor and Mrs. Elizabeth Castañeda and family of Quezon City, for leading the fight against cancer; Mr. Joe Dean and Mrs. Ardis Sola and family of Quezon City, for helping improve the lives of street children; and Mr. Marciano and Mrs. Josephine Par and family of Saudi Arabia, named as the Jollibee-Coca-Cola OFW Family of the Year for their mission in empowering underprivileged fellowmen both in the Philippines and the Middle East. 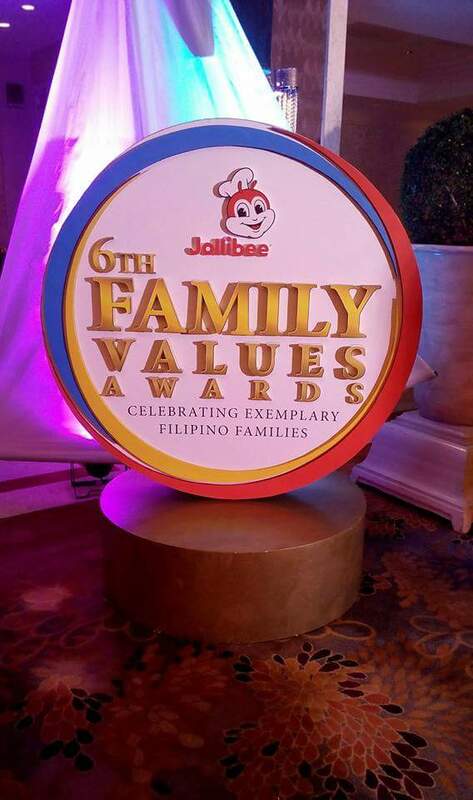 In addition to the six JFVA awardees, Jollibee also conferred special citations to families focused on specific advocacies. Receiving the Special Citation for Education (co-presented with National Book Store) are Mr. Reynaldo and Mrs. Juliet Arquiza and family of Camarines Norte, for their educational and scholarship programs, while Mr. Alejandro and Mrs. Lilibeth Cabading and family of Zamboanga City are the recipient of the Special Citation for Environment (co-presented with Landbank) for their underwater clean-up efforts. The latest addition to the awards this year, the Special Citation for Youth, was given to Mr. Harry and Mrs. Malou San Gabriel-Eng and family of San Francisco, California, for their programs that benefit the youth. For their work on autism awareness, Mr. Noli and Mrs. Isabelita Vizcocho and family of Benguet are given the Special Citation for Persons with Disability (co-presented with National Council on Disability Affairs). Aside from being hailed as 6th JFVA winners, the Bumacas family received the Special Citation for Minority Groups. The Sola family was also given the Special Citation for Children (co-presented with Children’s Hour). The five JFVA families and OFW Family of the Year each received a cash prize of P300,000, a trophy designed by brass sculptor Michael Cacnio, and P10,000 worth of Jollibee gift certificates. The recipients of the special citations were each given P50,000 in cash, a plaque, and P3,000 worth of Jollibee gift certificates. 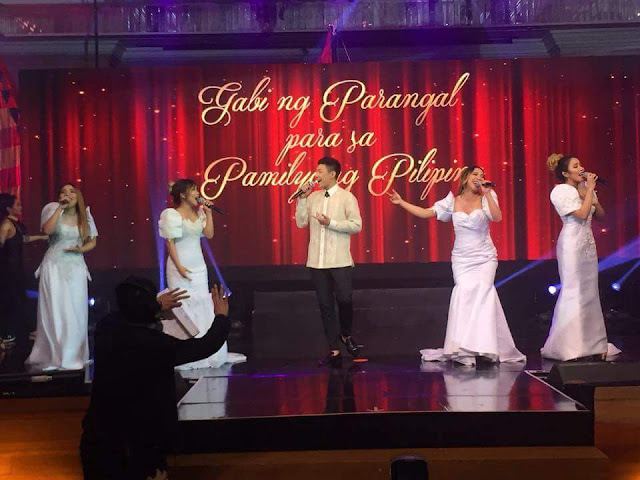 The guests were treated to performances from Darren Espanto and Fourth Impact, culminating in a grand finale performance. 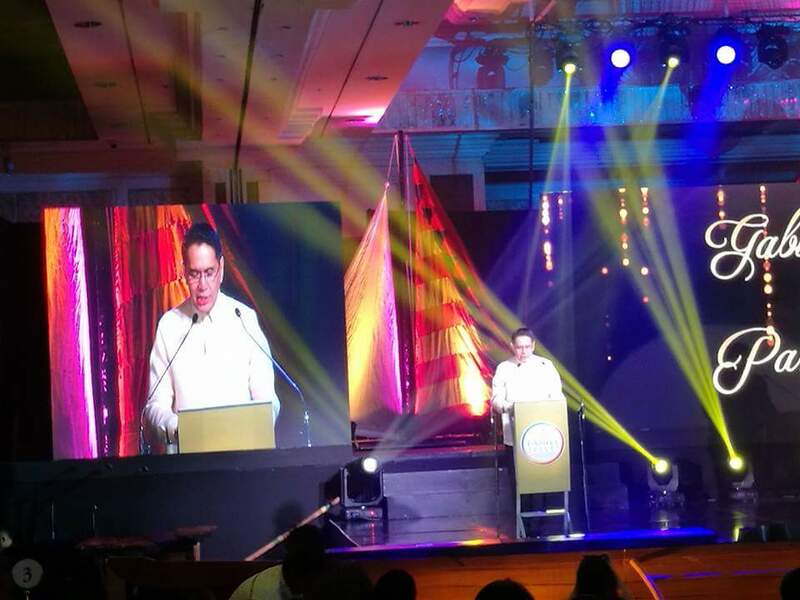 Distinguished personalities known in their respective fields comprised the esteemed board of judges in this year’s JFVA, including Sen. Bam Aquino who served as jury chairman. He is joined by Mowelfund trustee and president Boots Anson-Rodrigo, Manila Bulletin columnist and TV host Suzi Entrata-Abrera, respected inspirational speaker and columnist Francis Kong, ANC news anchor Edric Mendoza, parenting and relationship consultant Maribel Sison-Dionisio, Coca-Cola Philippines Vice President for Public Affairs and Communications Atty. Adel Tamano, and columnist and child advocate Audrey Tan-Zubiri. 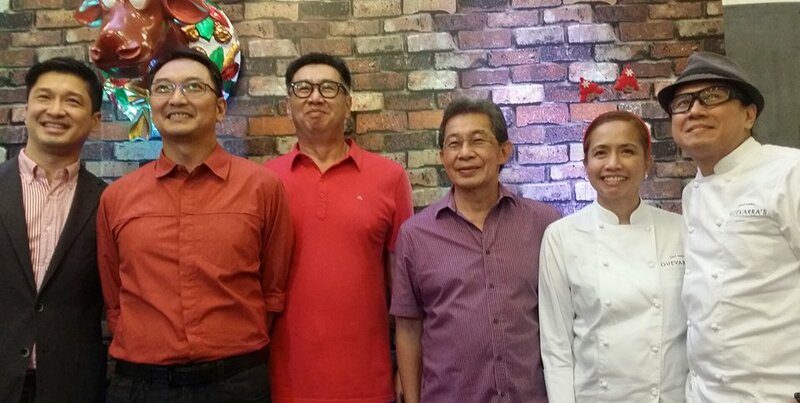 Completing the board are Jollibee Global Brand CMO and Jollibee Philippines Marketing Head Francis Flores, Jollibee Philippines Head of Human Resources George Wang III, and Jollibee Group Foundation Vice President Belen Rillo. 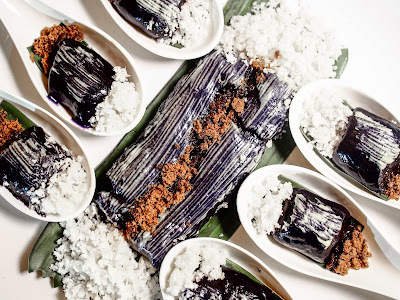 The Basa family believes in the power of community development and this passion was strongly shared by their two children who pursued various initiatives. Donato Bumacas is a proud member of the Kalinga tribe. Beset with difficulties commonly encountered by people belonging to minority groups, he worked hard to become a teacher. Dr. Cablaza began conducting free medical and surgical missions in 2006, around the same time that he set up a small clinic in his home. The birth of the I love Enzoe: Fight Against Cancer Foundation was borne out of the tragedy of losing a dear member of their family, little Enzoe, in 2011. The Sola family dedicate their lives to helping street children by providing their basic needs such as food and education. *The Sola Family is also this year’s recipient of the Special Citation for Children. The Par family proves through their ASTIG OFWCC (Overseas Filipino Workers Cooperative Council) program that wherever Filipinos are in the world, they are always willing to lend an extra hand to help one another. The Arquiza family knows the importance of good education. Siblings Rey, Soledad, Regina and Gemmalyn consider themselves fortunate for getting scholarships that allowed them to study in reputable schools. Aiming to share their blessings, they established Aklatan sa Kostal in 2013. 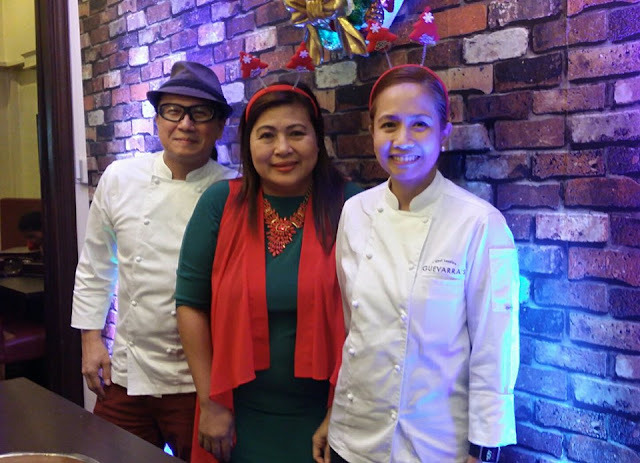 The Cabading family’s advocacies focus on caring for Mother Earth and improving the lives of those in need. The San Gabriel-Eng family is united in their goal to share their blessings and uplift the lives of those in need. 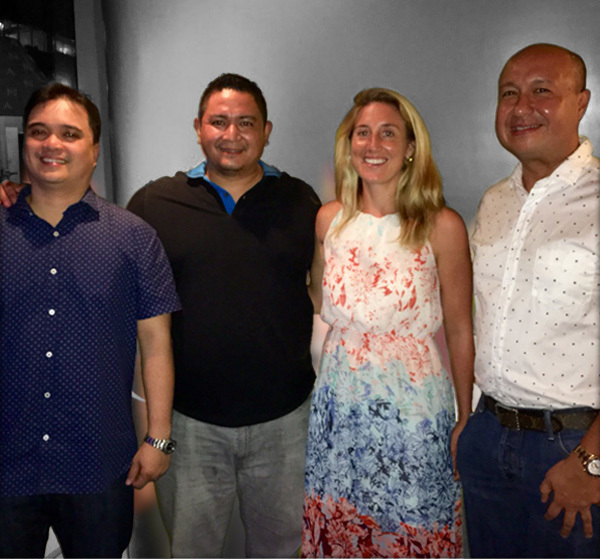 Despite living in the United States, they keep their fellow Filipinos close to their hearts and do what they can to help the disadvantaged. For the Vizcocho family, people with special needs should be given extra special care. Knowing the joys and challenges of having a loved one with autism, they have made it their mission to raise awareness about this condition. A long-term deposit instrument with quarterly interest repricing. Unlike with regular time deposits with fixed interest rate and interest earnings paid at maturity, depositors could benefit from rate upswings and quarterly crediting of interest earnings with EastWest’s new TD product. The product suits long term investors who prefer getting their interest income regularly for the things that they need to spend for now, while keeping their principal intact for future use. Interest earnings are paid-out quarterly to the depositor’s EastWest checking or savings account so there is regular income stream. A P5-million placement, for example, will be paid upwards of P30,000 in quarterly interest earnings at current rates, which the depositor can already enjoy on the first quarter of the five-year term. A depositor parking funds in a plain vanilla time deposit account will earn a fixed rate throughout the duration of the term. With EastWest 5-Year Floating Interest Rate Time Deposit, interest is repriced quarterly based on the one-month weighted average accepted yield of the Term Deposit Auction Facility of the Bangko Sentral ng Pilipinas; as such, interest earnings will be higher if the applicable interest rate for the next quarter goes up, and vice versa. And if the deposit is maintained to full term, this 5-Year TD product is exempted from withholding tax. In case of pre-termination, a new interest rate per quarter will be applied retroactively to the principal amount according to the number of years the account has been maintained, and will be subject to applicable charges. 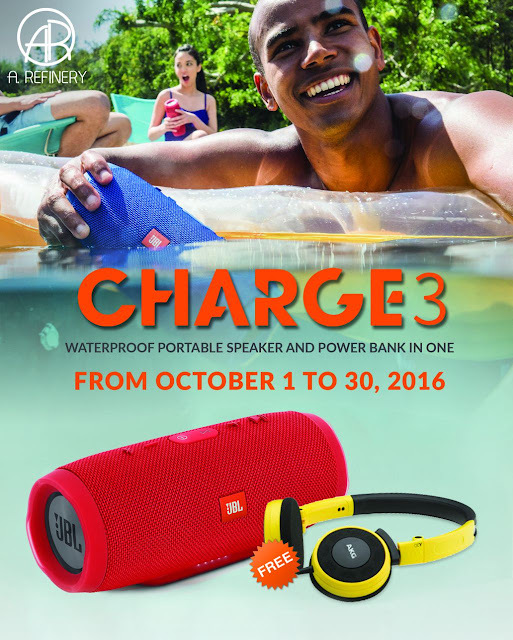 EastWest 5-Year Floating Interest Rate Time Deposit is available at all EastWest stores. Minimum placement is P100,000. For more details, visit www.eastwestbanker.com. The Brother ADS-2400N offers true network scanning, without having to log on to a central PC or install software at multiple location points. The ADS-2400N supports TWAIN and ISIS drivers for software integration and image processing, and incorporates Hi-Speed USB 2.0 for super fast processing. 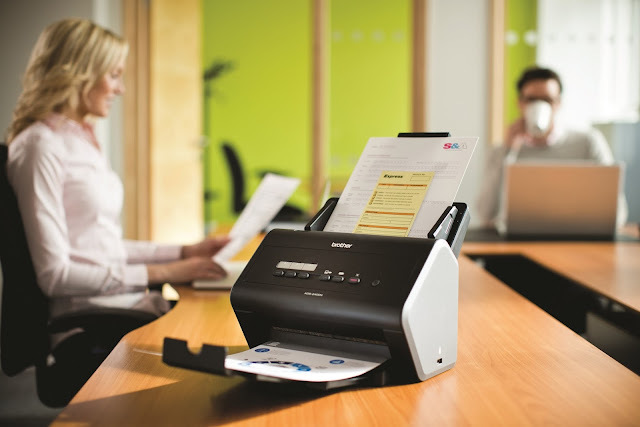 The desktop scanner model scans to email, File, Image, Network, OCR (optical character recognition) software, SharePoint®, USB Host and FTP (file transfer protocol) or SFTP (secure file transfer protocol). The new desktop scanner model also has Multifeed Detection that uses sound waves to identify potential misfeeds. The paper pathway is automatically suspended and the user alerted if an irregular signal is detected. The Advanced Reverse Roller system, meanwhile, manages incoming bulk paper jobs so only one sheet is processed at a time, for outstanding reliability when scanning a variety of document types and weights. Enjoy Brother ADS-2400Nnetwork scanner that is fast becoming a category favorite especially for mid to large-sized offices. Reasonably priced at SRP of Php24,990, its true network capability allows offices to enjoy improved workflow efficiency with scanned business critical information shared across teams and departments with minimum user involvement. Achieve high productivity with its fast scan speeds and outstanding reliability even when scanning a variety of document types and weights. Last but not the least, be cost efficient with early detection of misfeeds, which reduces the risk of damaged documents and lost data. Other desired features also include its OCR and mobile scanning capability, and inclusion of industry leading software. 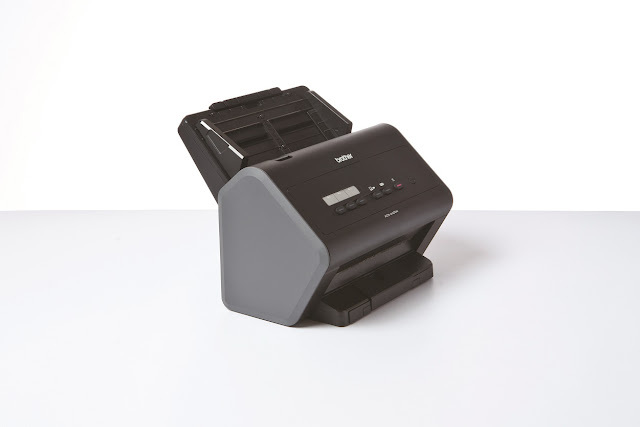 The Brother ADS-2400N network scanner is a valuable addition to Brother's scanner portfolio which also includes the DS-620 mobile scanner for field personnel, or employees who work remotely or are always on the go. The mobile scanner is bundled too with powerful software to become the perfect solution for document management and improved workflow. Powered simply by USB from your laptop, scan all types of documents to various destinations, available to view on one’s mobile device, whenever and wherever. 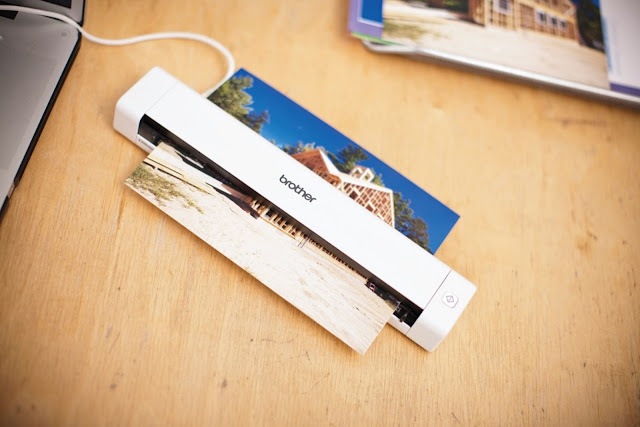 For more information about Brother Scanners, visit brother.com.ph or call (02) 581-9888. The recently concluded WTA Future Stars Qualifying Tournament was a smashing success as two young Filipina players get to represent the Philippines in the Singapore tournament. The Cebuana Lhuillier Girls’ Tennis Challenge, the first and exclusive qualifying tournament, gathered 16 of the top junior tennis players nationwide to showcase their skills and fight for a chance to represent the country for the WTA Future Stars Asia-Pacific leg in Singapore. From September 16 to 18, the meet witnessed a pool of young, talented age-groupers deliver amazing performances, with Eala and Dizon emerging as overall winners of their respective U-14 and U-16 divisions.
. (Left) Integrity Initiative Executive Director Jose Solomon Cortez and Holcim Philippines President and Country CEO Eduardo Sahagun during the company’s signing of the pledge to uphold ethical business practices and support the national campaigns against corruption. Holcim Philippines, Inc. (Philippine Stock Exchange: HLCM) is one of the leading construction solution companies in the country. The Company has a wide range of innovative construction solutions that can help home owners to large contractors in their building needs. Holcim Philippines is a member of the LafargeHolcim Group, the world leader in the building materials industry with presence in 90 countries and with over 100,000 employees. Last August 30, Holcim Philippines joined the Integrity Initiative and pledged to continue promoting good governance and strict integrity standards in all its businesses. The pledge is consistent with Holcim Philippines’ policies that state that integrity is a key to sustainable success as it creates trust among stakeholders, enhances its reputation, lowers the cost of doing business and bolsters shareholder value. Holcim Philippines President and Country CEO Eduardo A. Sahagun and Integrity Initiative Executive Director Jose Solomon B. Cortez signed the Integrity Pledge for their respective organizations. In June, a study by the ASEAN CSR Network and the National University of Singapore Business School’s Center of Governance showed that Holcim Philippines is among just 10 publicly listed Philippine companies and the lone representative from the cement manufacturing industry that has anti-corruption and anti-bribery policies. “Signing the pledge is an affirmation of our own integrity policies. Integrity is embedded in how we conduct our business. We make sure we deal with our stakeholders following these ideals, from the way we look after our obligations to the government, develop our relationship with customers, take care of employees, and support the communities that host our plants,” Sahagun said. Launched in 2011, the Integrity Initiative creates a culture where private and public sectors commit to ethical business practices, good corporate governance, and work together to achieve a level business playing field. PEZ Is more than just a candy, it is the WORLD’S FAMOUS CANDY MAKES EVERYONE SMILE! Remembering my childhood in the late 70’s when I had my first PEZ that a relative from US gave it to me as her “pasalubong” or gift. I cannot forget the character of wonder woman and batgirl that is interchageable rubber head. From then I collect PEZ dispenser and PEZ candies until I lost my collections. 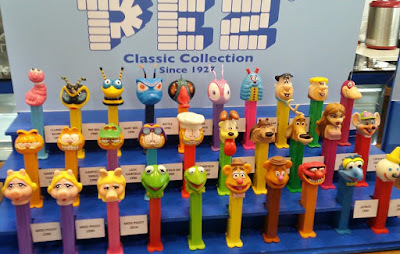 Not until last August of this year when I was invited to PEZ event and from then I’m inspired to collect PEZ again. Nothing says childhood quite like PEZ. There’s something nostalgic about these familiar little treats that bring back memories of yesteryear with each and every bite. But would you believe that your favorite PEZ didn’t start out as the fruity candy we know and love today? It’s true! In fact, this is one candy that has a history that may surprise you. 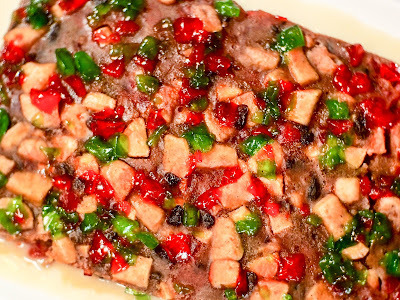 It’s the pioneer of “interactive candy” that is both enjoyable to eat and fun to play with. 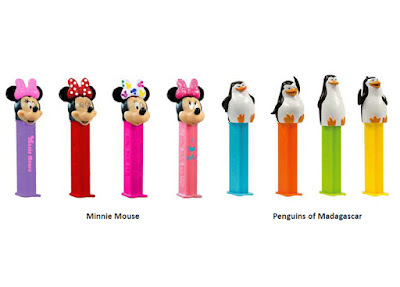 PEZ Dispensers are a hot collectable for adults and children alike. New character dispensers are introduced regularly to reflect current trends. As they say you are not famous until they put your head on a PEZ dispenser! 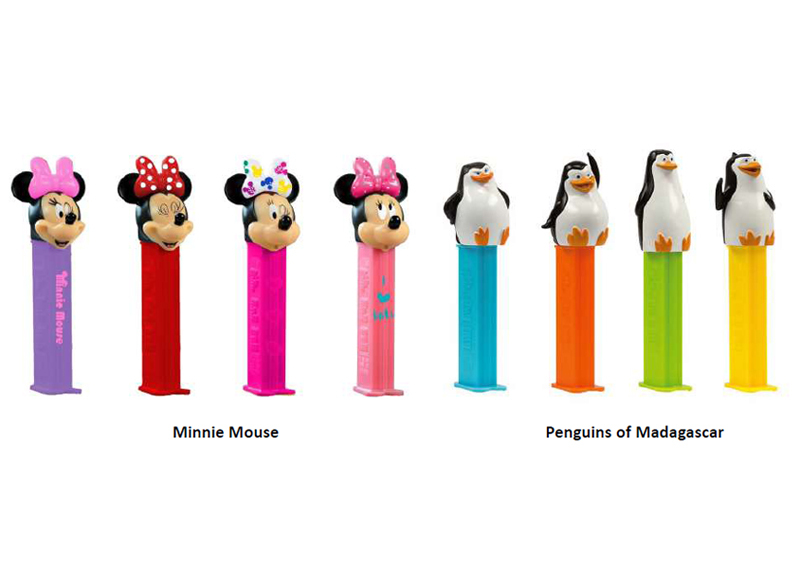 Mickey Mouse, Winnie the Pooh and Hello Kitty have graced Pez dispenser heads and recently Anna and Elsa from the movie "Frozen" have also joined the line-up. 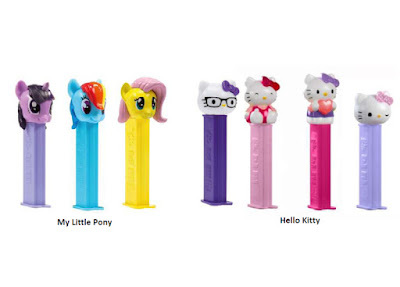 Next year and over the coming years we expect to see more licenses and partners requesting for a PEZ head dispenser. Pez originated in Austria in 1927 and branded as a breath mint for adults. It’s first dispensers are plain boxes. However, in 1955 the firm started marketing its candy to children, leading to the creation of its celebrated series of character designs. There's no mistaking the tilted heads that dispense pastel colored candy stacked in a narrow column. The PEZ candy dispenser is a pop culture icon. As the brand has proven its portfolio of licenses for the past 89 years. 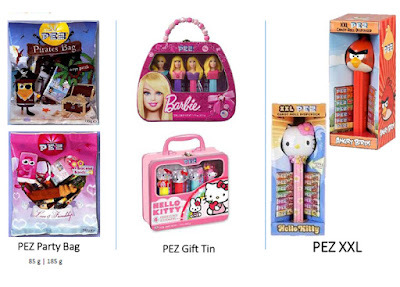 PEZ is proud to introduce another innovation, The PEZ Play. Their first PEZ play dispensers is a collaboration with the world’s most loved mobile app game Angry Birds. On each dispenser is a code which you can use to unlock the exclusive PEZ Angry Birds game within the brand new Angry Birds Action mobile app. PEZ play is an entertaining interactive experience on mobile phones and tablets, fun for kids and adult gamers alike. 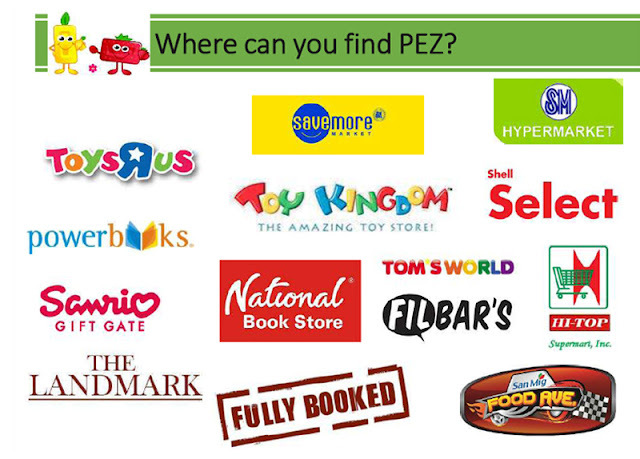 If you’re a business owner and would like to carry PEZ products in your store, you may contact Mina Calupitan through mobile: +639065788556 or through email at minacalupitan@gmail.com . I’ve been here at Chef Laudico Guevarra’s many times already but everytime I come back here I feel like it’s my first time. I have many reasons why I feel this way. 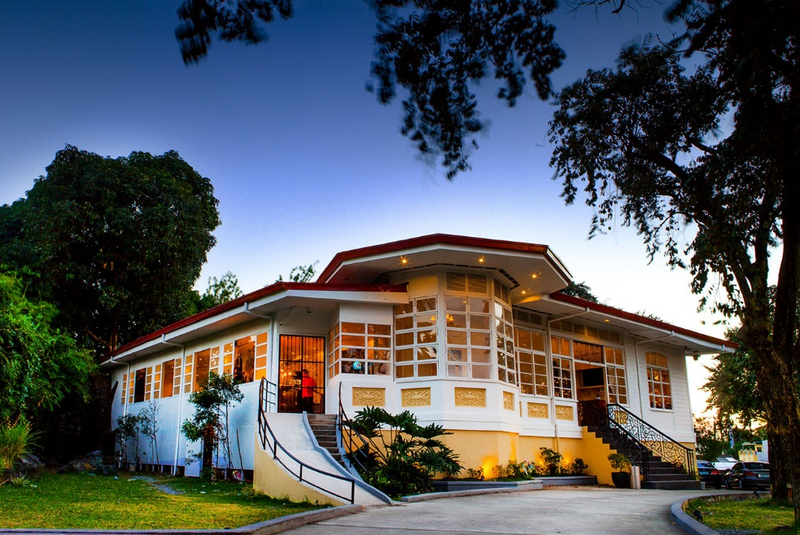 The ambiance, feeling homey and love antic houses since Guevarra’s is rich in heritage splendor and reminiscent of a house built in the 1920’s. The picturesque garden surrounded with rich greeneries and wide staircase that leads to the veranda gives you the feel of aristocratic elegance of the forgone era. As you enter the dining area, get ready to be enthralled with art-deco pieces transforming your senses to a magnificent old-world charm. 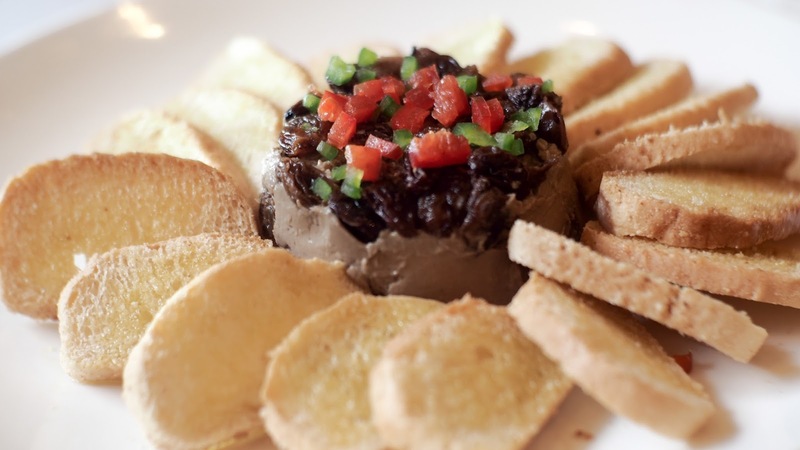 Art aficionados will get to enjoy the walls that houses several awe-inspiring paintings and hanged plates with praises and dedications of celebrities who visited the establishment. 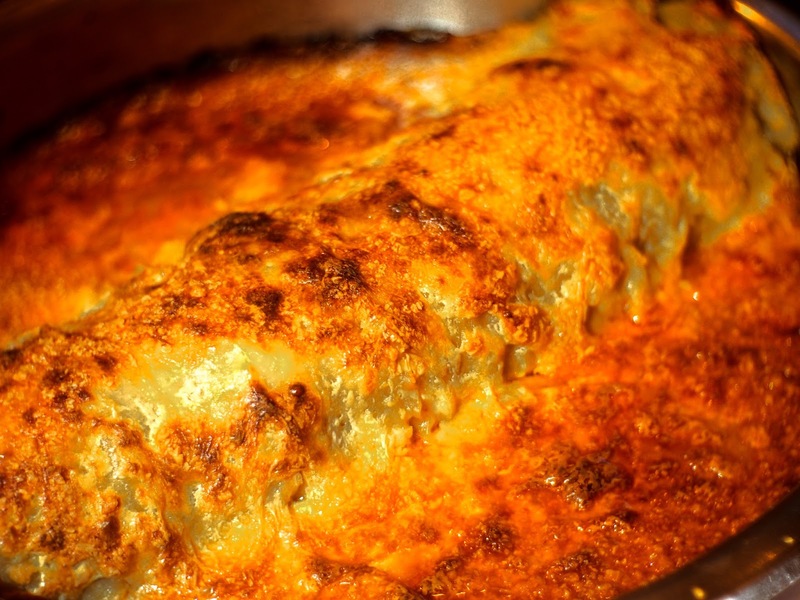 Complementing the art of food and visual arts. 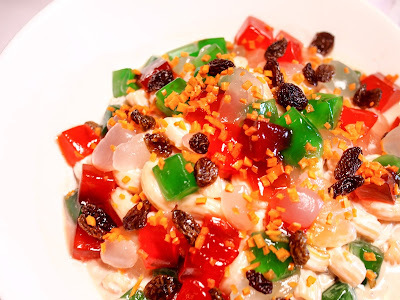 Then the food, I love the buffet from appetizers to dessert each lovingly created with love and inspiration. Born by fondness for food, Guevarra’s have continuously raised the bar of epicurean palate for buffet lovers with its unparalleled buffet line-up. Their passion for food and flavor inspires Seven Plates Inc. partners, Warren Sy, Patrick King, Felix Yu, Timothy Go, Victor Go, Raymond Co and Jeffrey Siy together with Chefs Roland and Jackie Laudico to produce a celebratory feast that will make this season more remarkable. 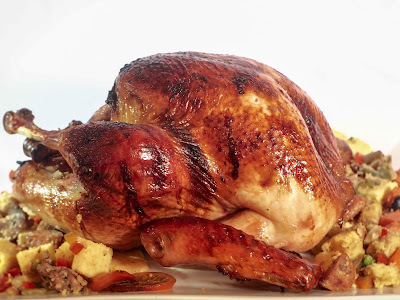 What better way to celebrate the yuletide season than sharing good food and great ambiance with your family and friends. 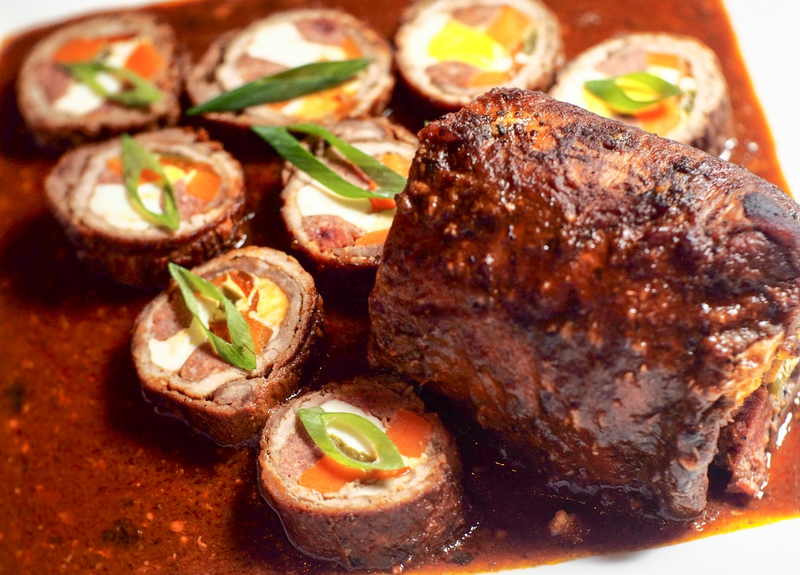 This season the Celebrity chefs has prepared several dishes on top of their year-round favorites to enthrall your visuals and taste buds. 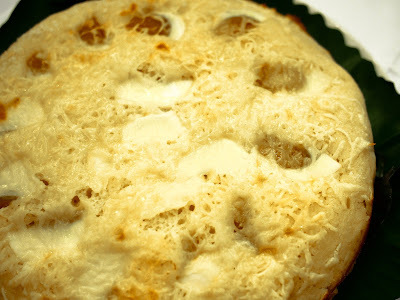 and Bibingka. 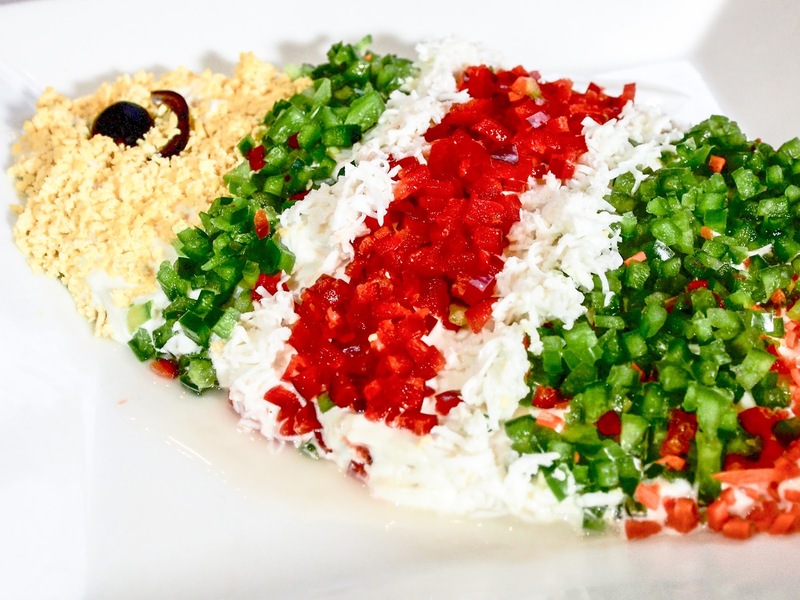 These 2 glutinous rice creations will surely make you feel the warmth of the season in a classic manner. Lastly, every time you visit and dine at Guevarra’s, each buffet head will automatically contribute a portion of the proceeds to benefit the Children’s Joy Foundation, a center that houses disadvantaged children in the country which Guevarra’s have been supporting for the past four years. Looking for a perfect ambiance, visit Guevarra’s located at 387 P. Guevarra cor. Argonnes St. Addition Hills, San Juan. The interior of the establishment can comfortably accommodate 200 persons and numerous occasions like Baptism, Birthdays and weddings to corporate gatherings and reunions. In coordination with the local government of Batanes, a roving team from the Pag-IBIG Tuguegarao Office was deployed to the province to accept applications for Calamity Loan from qualified members and to facilitate their processing. The team also assisted the members with housing loans in the documentation and filing of claims for Allied Peril Insurance. To date, the roving team has already received some 165 applications for Calamity Loan. Still they continue to go around the different Local Government Units in the province to collect more Calamity Loan applications earlier distributed to members. There are 1,984 active Pag-IBIG members in Batanes. Meanwhile, appraisers from Pag-IBIG Tuguegarao have inspected all 38 units covered by Pag-IBIG housing loans finding no major damages. The appraiser’s inspection report is required in filing claims for Allied Perils Insurance. Affected members can also apply for the End-User Home Financing Program for major home repairs. The Pag-IBIG Calamity Loan is offered to active members who are residing in areas placed under a state of calamity. They can borrow up to 80% of their total savings with Pag-IBIG, payable in two years through salary deduction, with a grace period of three months. Interest rate is a low 5.95% per annum. 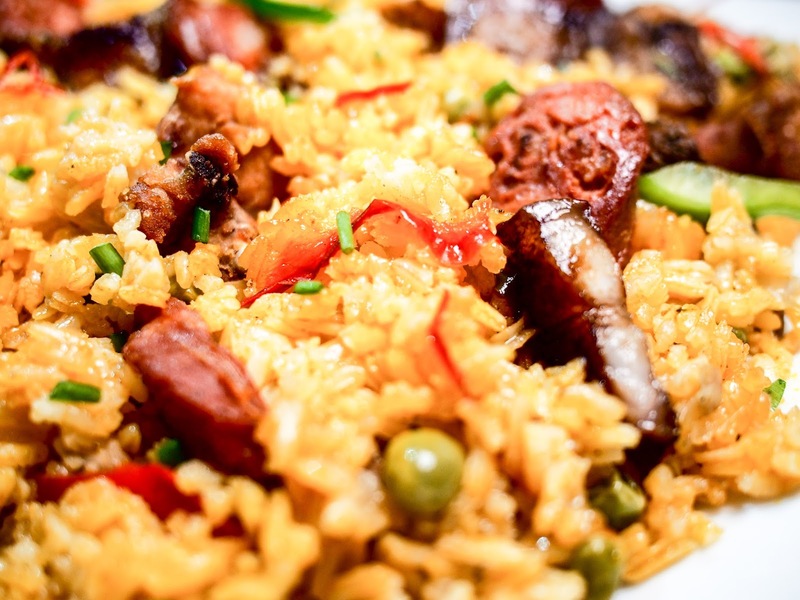 Members can still apply for the Calamity Loan even if he has an outstanding Multi-Purpose Loan or Calamity Loan. In no case, however, will the aggregate loans exceed 80% of the borrower’s Total Accumulated Value (TAV).